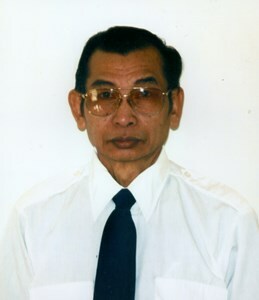 Newcomer Family Obituaries - Sok Kheao 1940 - 2019 - Newcomer Cremations, Funerals & Receptions. Kheao, Sok age 78, of Cincinnati, Ohio passed away on Saturday, March 23, 2019. He was born in Cambodia, on July 2, 1940 to Kheao Phua and Rath Ruam. Sok is survived by his wife, Ngoeun Sok ; his son, Sonny (Sao) and their child, Tyler; his daughter, Reun (John) and their children, Tina, Chanra and Monica; his daughter, Ret (Kalim) and their children, Sumally and Justin; his son, Soy (Lin) and their child, Ethan; his son, Vuth (Dina) and their children, Andy, Sami, Thary and Veahsna; his daughter, Vy (Mike) and their children, Micah and Isabella; his daughter, Savun (Kevin) and their children, Parker and Logan; his son, Suvanna (Khan) and their children, Angelina and Aaliyah; his son, Suvanny (Phonn) and their children, Raiden, Emily and Natalie; his daughter, Saviet Pech and her daughter, Rebecca; and many other family members and friends. Visitation will be held on Saturday, March 30, 2019 from 12pm until 3pm at the Newcomer Funeral Home - West Side Chapel, 3300 Parkcrest Lane, Cincinnati, Ohio 45211. Cremation will follow the visitation. To share a memory of Sok or leave a special message for his family, please click the Share Memories button above. Add your memories to the guest book of Sok Kheao. We are so sorry for your loss. We have great memories of meeting up with your father and the family. We met all of you shortly after the family came to the US. We cherish the times we had. Your father and mother always were so kind to us. Remember we shall always keep you all in our prayers. We love you all.